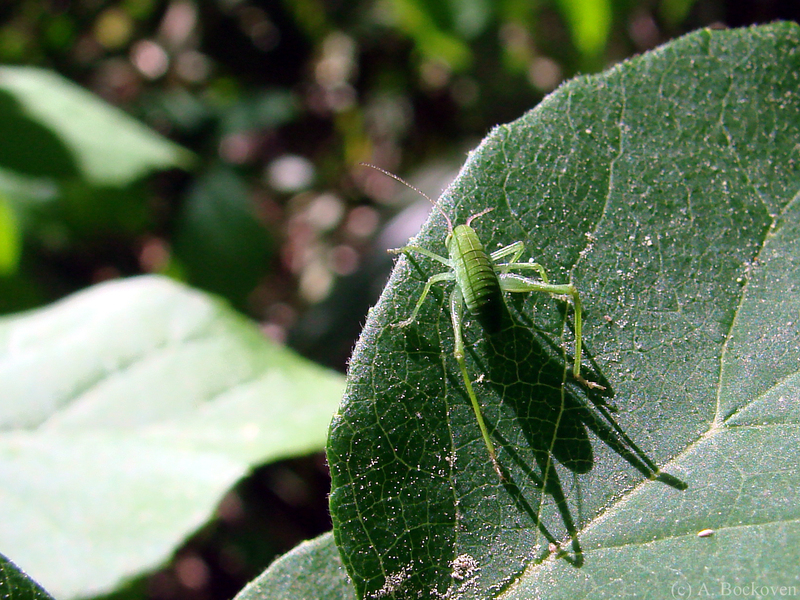 Katydid nymph on a leaf. 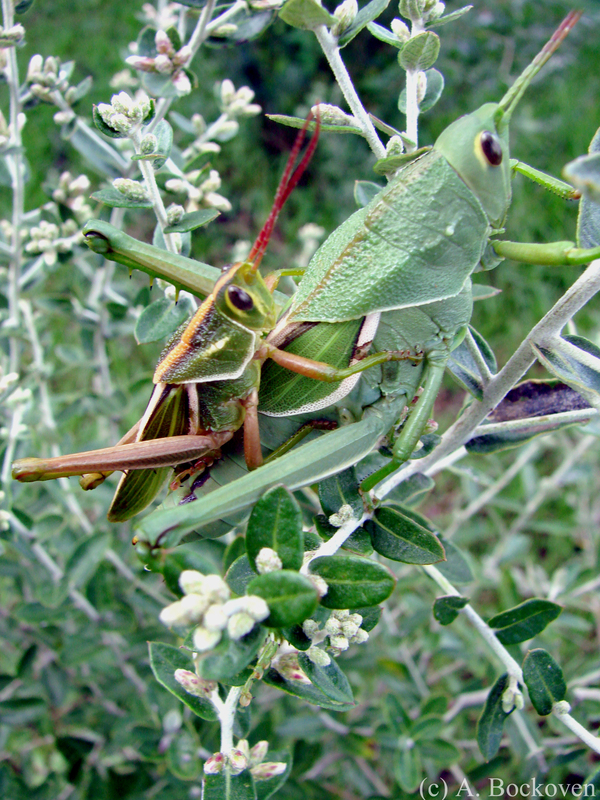 Katydids are a member of the order Orthoptera (grasshoppers, katydids, crickets, etc.) and the family Tettigoniidae. 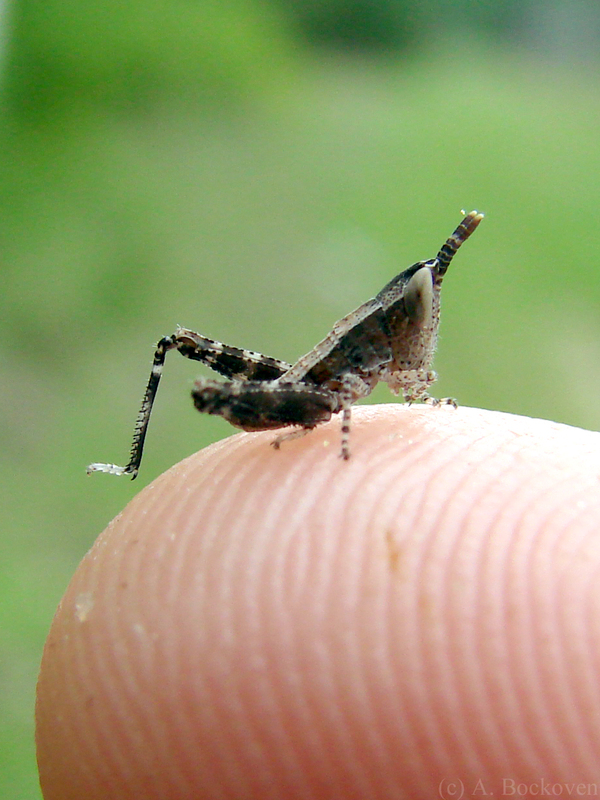 Orthopteran nymphs, or immatures can be distinguished from adults by the development of their wings. Only adult insects have completely developed wings (think butterflies, beetles, and flies). Immature insects have not yet developed wings (think caterpillars, grubs, and maggots). Katydids, like other orthopterans, have incomplete metamorphosis, meaning they lack a pupal stage (think chrysalis or cocoons). 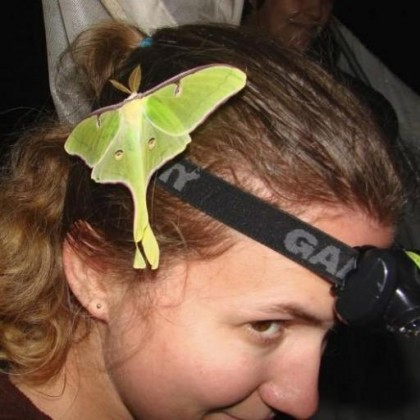 Instead, the immatures generally resemble the adults in appearance, and partially developed stubby wings, called wing pads, may be present in some of the later molts. The nymph above is very young, and has no wings or wing pads present. Here’s a picture from my own backyard in Texas! 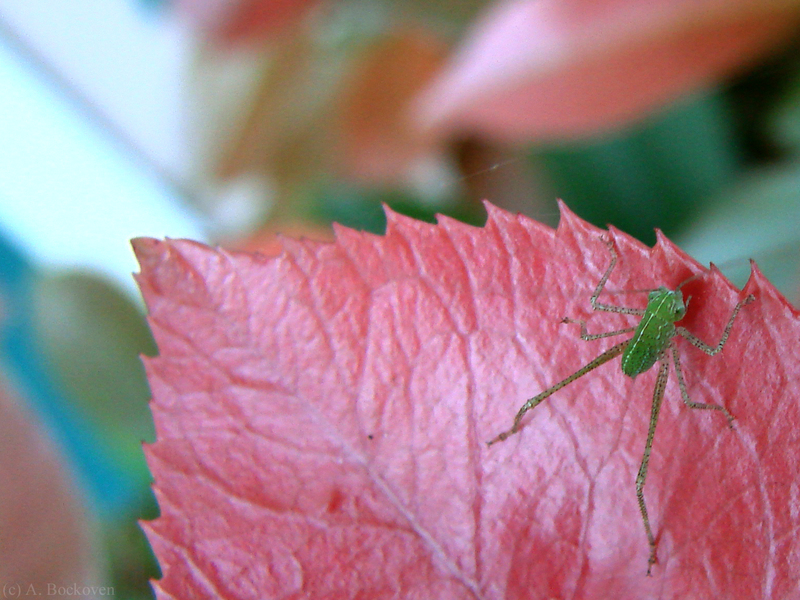 A tiny katydid perches on a leaf. 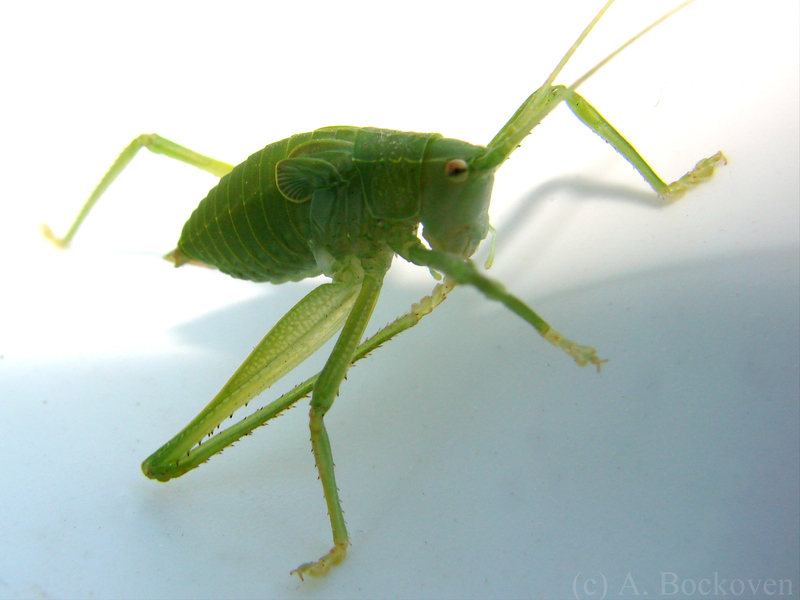 Katydids are also called ‘long-horned grasshoppers’ in reference to their long antennae. Orthopterans of the suborder Ensifera, or ‘sword-bearing’, generally have antennae longer than their body length as well as exserted ovipositors (sword-like egg-laying tubes that allow females to saw their eggs into plants or insert them down into the fround.) 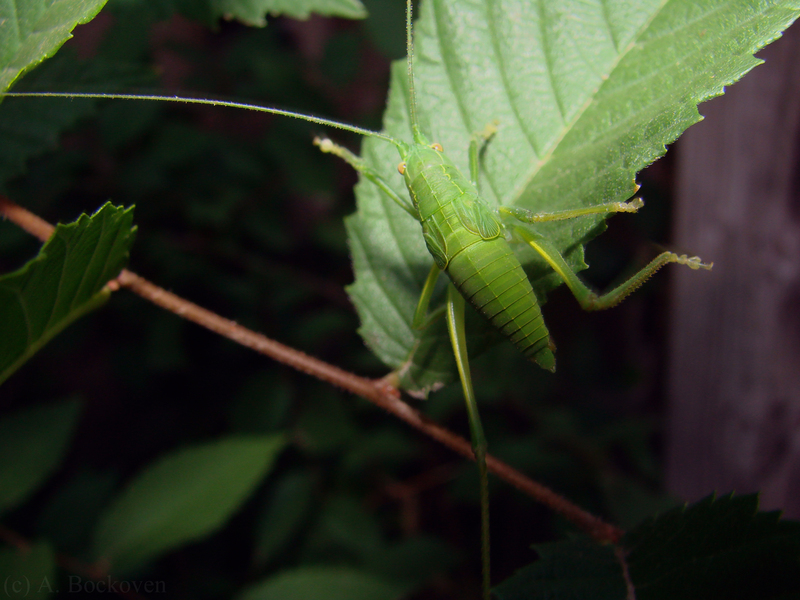 Thus, katydids (like crickets) can be distinguished from grasshoppers by their long slender antennae and legs. A grasshopper nymph perched on a fingertip. Acrobat ants (Crematogaster) feast on a katydid. I discovered this grisly scene by following a trail of acrobat ants across the red brick courtyard of our Argentinean hotel. 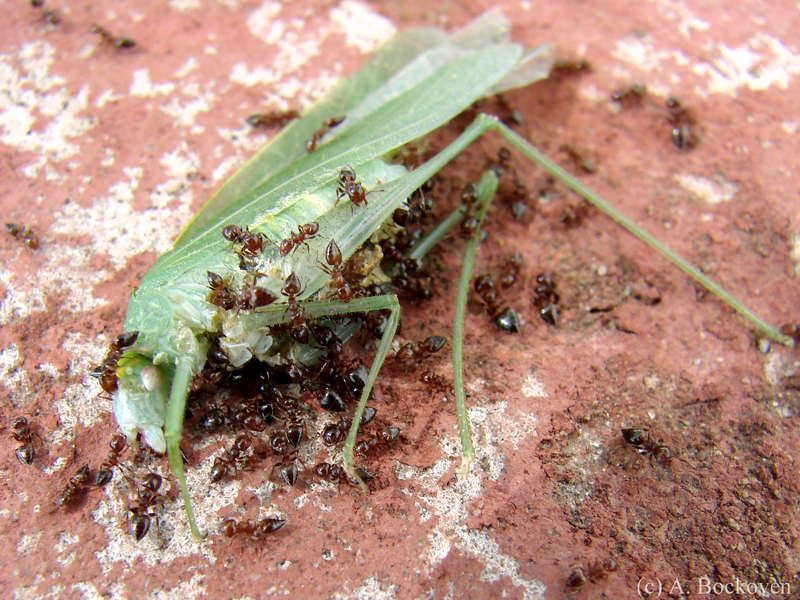 Hundreds of worker ants trekked nearly 20 meters from their nest to the scene of the massacre where they joined their sisters in chewing through the katydid’s tough exoskeleton to burrow their way into the soft tissue beneath, carving up their kill to bring food back to the nest. Acrobat ants (genus Crematogaster), are typically arboreal, or tree-nesting, ants. Their petiole, or waist, connects to the top of their heart-shaped gaster (the third body region of ants). This allows them to flip the gaster up over their backs, both for balance while navigating their tree habitat, and defensively like the stinger of a scorpion. Acrobat ants wield their venom in a defensive spray rather than a stinging injection. This is an effective weapon of chemical warfare against other arthropods and small organisms, but generally passes unnoticed by humans. Their mandibles can still deliver a pinch, however, and they will attempt to follow a bite with a spray of formic acid into the wound. Although I took this picture in Argentina, acrobat ants are relatively common across the United States.